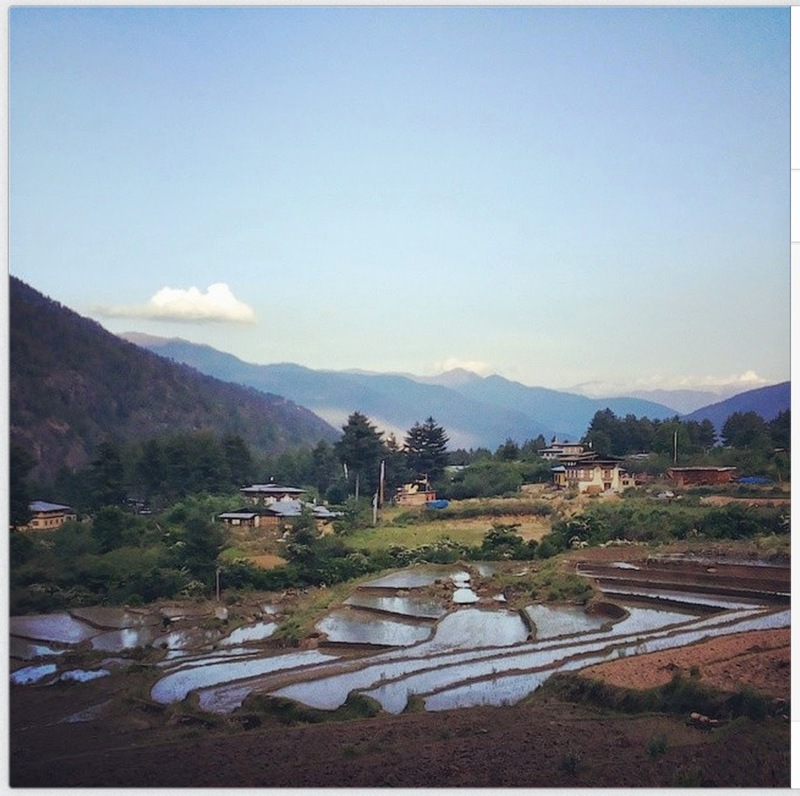 Land of Thunder Dragon, Bhutan - Instagrammed! ~ The Wandering Soul's Wander Tales.. I hadn't even fully recovered from the awesomeness of the Sikkim Trek and I was on my way to the Land of Thunder Dragon! I was with family and didn't plan it to be an offbeat trip. However, Bhutan surprised me totally. In this wild land, everything is beautiful! Of course the road less travelled will be even more awesome in Bhutan but even if you don't tread the lesser taken path, you will still be rewarded. I am yet to process images from Sikkim and Bhutan. So while I go do that, here's a quick glimpse of what I saw, through the mobile cam! Such delightful pastoral scenes can be found everywhere in Bhutan. Seen here, the rice fields of Paro at sunset. Every touristy place has a silver lining! Went upto Buddha Point in Thimphu and found hiking trails that led to this gorgeous view. The gorgeous capital city of Thimphu on a gorgeous day seen through some gorgeous prayer flags. :-) This was seen on the hike close to Buddha Point. Royal Fortress called Dzongs are aplenty in Bhutan, many of these beautiful buildings are used as administrative offices in Bhutan. This is in Thimphu. A river runs through Paro and it's the most beautiful ever! Sunset was always dramatic in this mountainous country, with pleasant temperatures and cool breeze for company, best experienced during the warm months of April to June. Bucolic Bhutan. Green rice fields and the mountains in Paro with a clear river running through it. What a beautiful country this! A washed out view at Chele La(3988m) on the way to Haa Valley. I'll probably come back on a clear day to see the peaks in distance. Blue Poppies, National Flower of #Bhutan. So beautiful! Found them in abundance at Chele La. Haa Valley is a perfect place to do nothing! I mean, when the view's this beautiful, what else can you do other than stand and stare? So have you been to Bhutan? Did you like the Land of Thunder Dragon? I, for one, have fallen head over heels in love with this wildly beautiful and well preserved country! Also this marks the first international trip post on this blog. The Wandering Soul is ready to go beyond India. Read this, I'll explain why now soon. haha... missed your flight again? too much! Btw, love the blue poppies pic.. the composition is awesome! Bhutan! It sure looks beautiful! I have been following you for quite some time and love your writeup and pictures. But somehow, Instagram pictures don't look as good in blogs - I follow you on Instagram as well and they look great there. Any way we can see the non Instagram-fitered pictures of this lovely place? This is what nostalgia looks like. Kudos to the photographer for capturing Bhutan so beautifully. Ahh I can relate the post as I have recently been to Bhutan. It'd be great if you can go through it.